You may have noticed a rather strange title has been at the top of our "Hot Games" list. Monsters Vs. Aliens has been dominating that chart for weeks now. Should we write this off as a kiddy game, and dismiss it? Or is there actually some fun to be had here? And what about the co-op? The answers are revealed in our review! The game may sound incredibly scary, but it's actually based on the upcoming animated movie of the same name from Dreamworks. 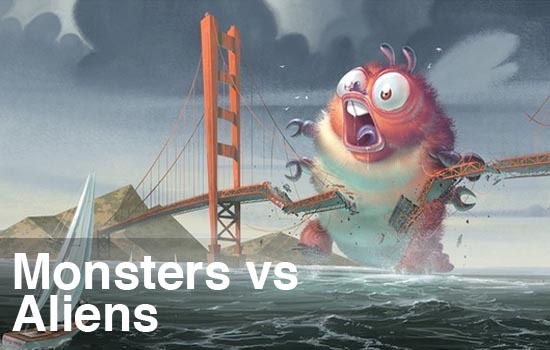 Monsters vs. Aliens releases this week for the Xbox 360, PlayStation 3, PC, Wii, and PlayStation 2 and all versions feature a local co-op option with drop-in and drop-out support.